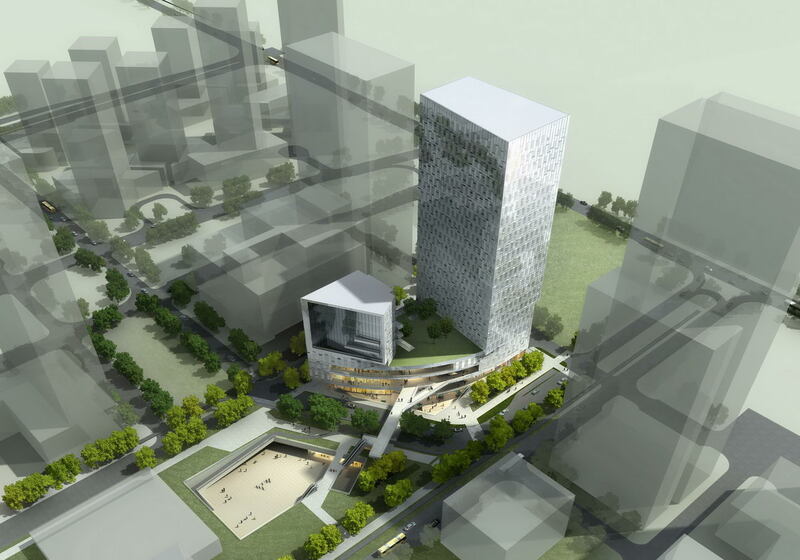 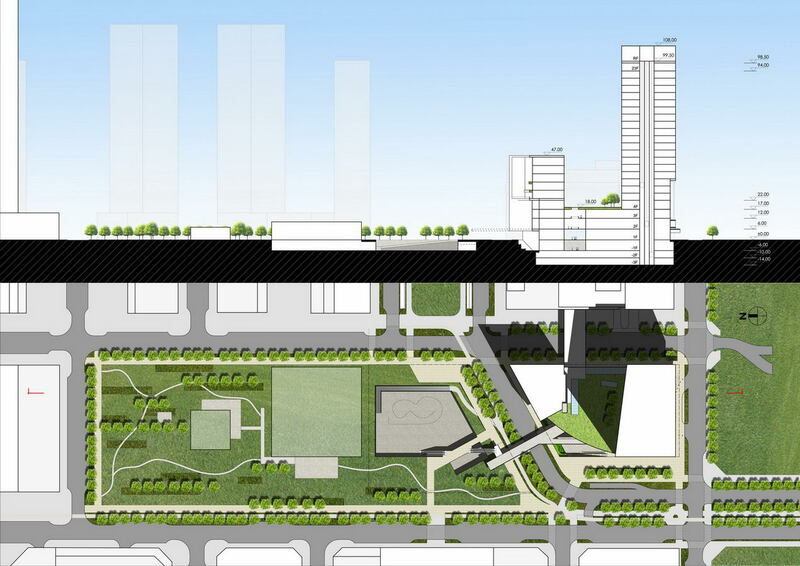 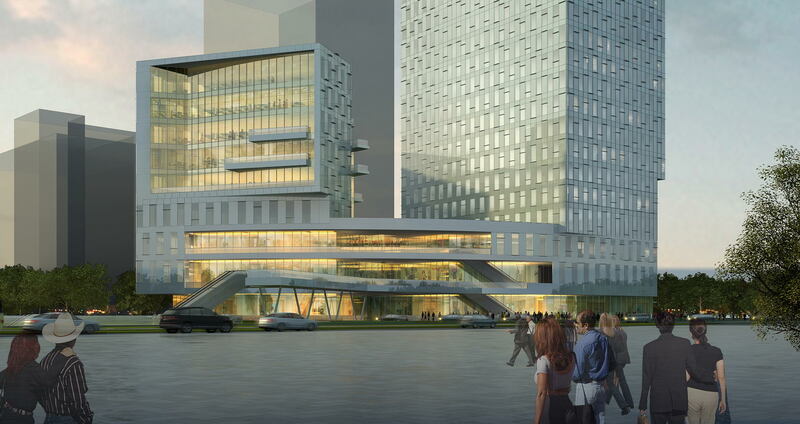 Considering the condition of the site belonging to Nanshan CBD, our goal is to find the right answer in response to the 2 scales associated with the North part (a group of high-rise and mid-rise buildings surrounding a public square) and the South part (a large-scale development along Dongbin Road, a very important East West axis). 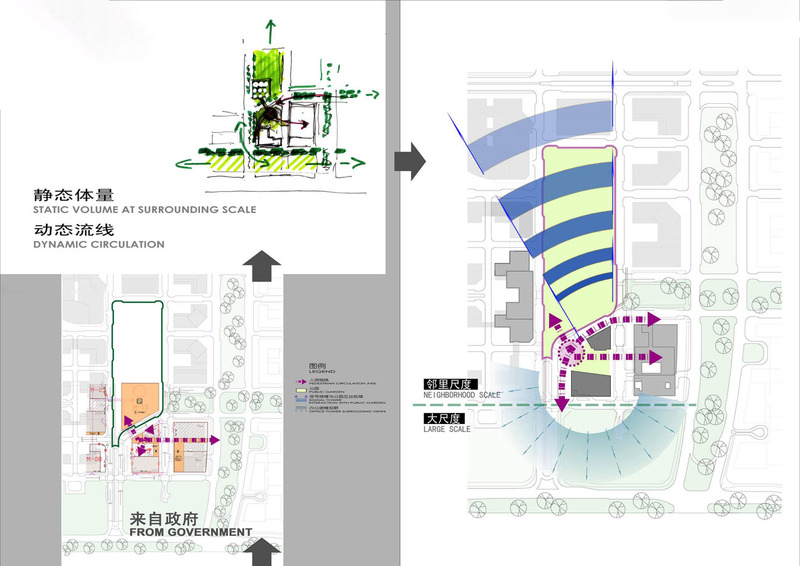 Taking into account the program as well as the Shenzhen planning requirements, we propose to associate this dual concept of scale to a dual concept of dynamic circulations and of a static volume belonging to the specific geometry of the site. 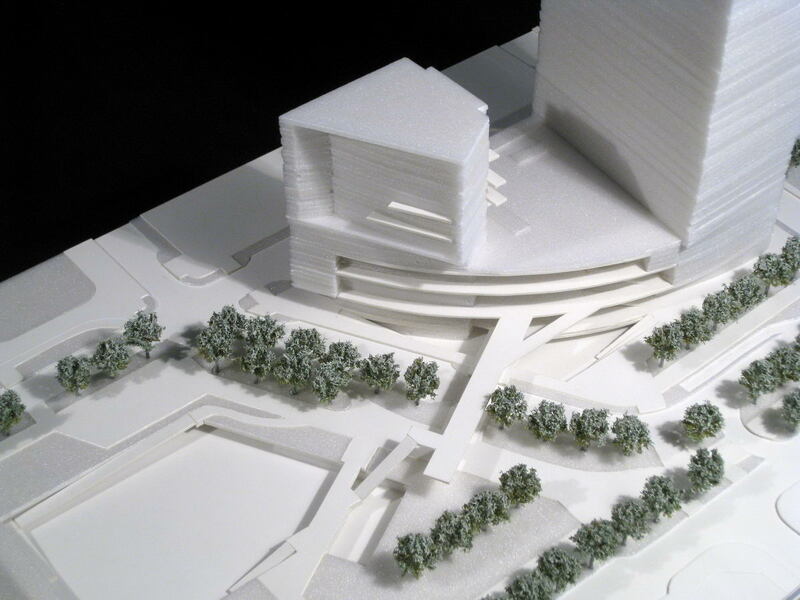 The key to the success of this project with such special location is the adequate balance between public activity and commercial reality; this is the reason why we propose an outside circulation system associated with a depressed plaza which overall geometry answers the site configuration and its relation to the main public circulation flow. 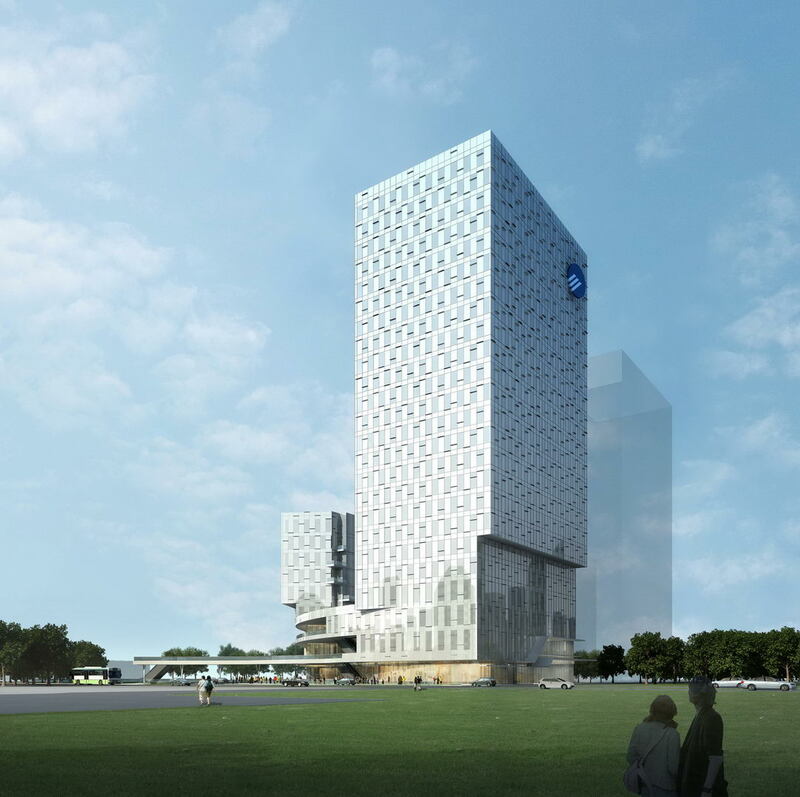 Doing so, we obey to the essence of the program by emphasizing this interconnection, as well as achieving the necessary required area for commercial base and the 2 towers. 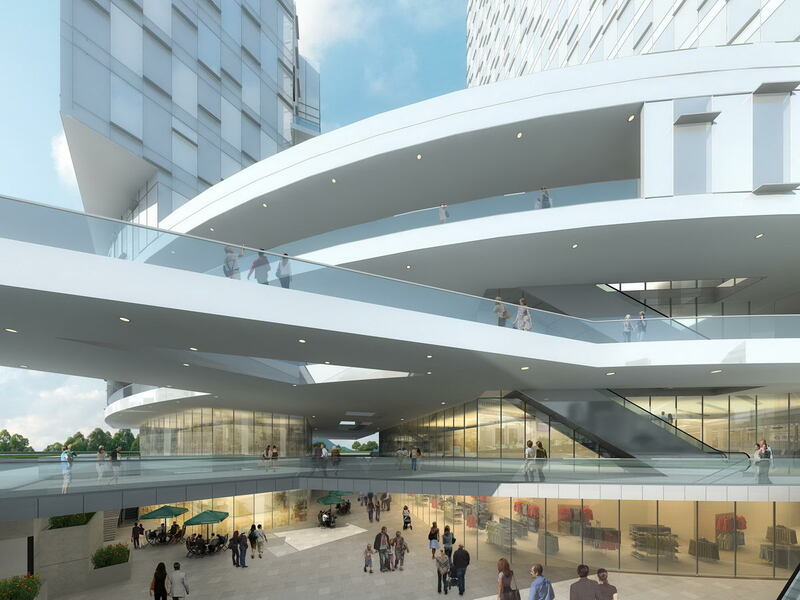 Doing so, we optimize commercial exposure on all commercial floors, starting at basement level with the depressed public plaza, and reaching to the 3rd floor.